When Adrienne Cullen went into hospital in 2011 for a cryotherapy procedure, she trusted them to do their best for her. But two years later, it emerged that on that day, a biopsy had been taken showing she had cervical cancer – and had then gone missing. A cancer with a 90%-95% survival rate if it had been treated at once, had become a death sentence. And while being treated for multiple secondary tumours, the Irishwoman living in Voorschoten began a traumatising journey to fight for an investigation, apology and record-breaking medical compensation of €545,000 from University Medical Centre Utrecht. She died, though, on 31st December 2018, and UMC Utrecht is yet to publish or share with her family an independent, forensic investigation about what went wrong – at a time when medical records were being digitised, and some of them were allegedly prepared for scanning by prisoners in Belgian jails. At a mini-symposium to launch the book in Amsterdam last week, Dr Volkert Wreesmann – a consultant surgeon and whistleblower about problems at UMC Utrecht – said that Cullen’s story of the hospital’s ‘indifference’ to its medical negligence caused her severe ‘secondary harm’ and highlights how Dutch medical care urgently needs proper open disclosure systems. He said that Cullen’s family will ask the president of Ireland to pass a copy of the book on to the Dutch king and queen on their upcoming visit to the country, to see if they would address the issue of patient autonomy and openness in Dutch healthcare. 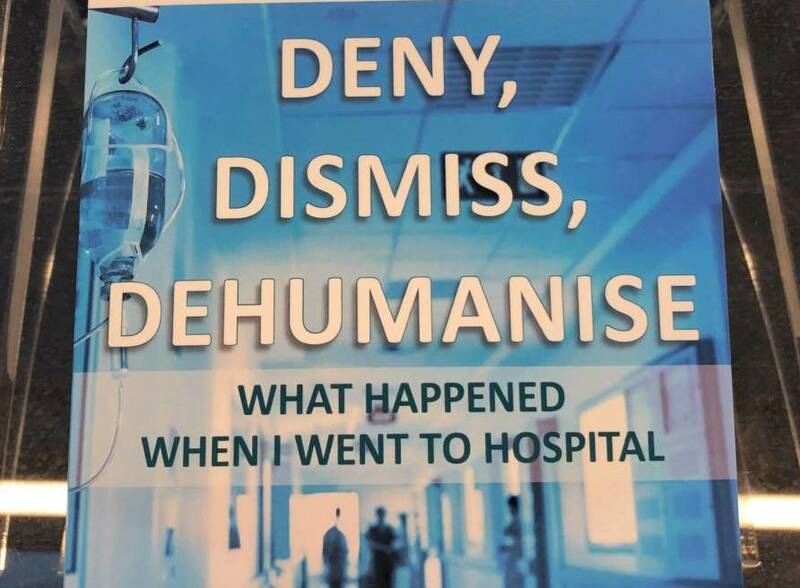 Cullen’s book describes her treatment in a series of Dutch hospitals where she develops a terror of the institutions and post traumatic stress disorder – and is repeatedly confronted with staff appearing to mock her for not speaking Dutch. She describes her dealings with her doctors from UMC Utrecht, who apologise and whom she personally forgives, but also her battles with its legal department. She refuses to sign a gagging clause and wins compensation for her family for lost income due to her early death – the highest in Dutch history, although low by some countries’ standards. She also launches UMC Utrecht’s inaugural Adrienne Cullen lecture on open disclosure after serious harm, speaking with her two UMC Utrecht doctors, Prof Huub van der Vaart and Prof Arie Franx. Peter Cluskey, her husband and a journalist, said that he hoped her story and fight would bring lasting change to patient rights and transparency in the Netherlands. ‘Adrienne summed up her treatment by UMC Utrecht in what she called her “3Ds”, deny, dismiss, dehumanise,’ he said. Eric Trinthamer, a spokesman for UMC Utrecht, said that the investigation into how Cullen’s results were lost is still ongoing and will be discussed with her husband and then sent to the Dutch healthcare inspectorate, the IGJ. ‘It is extremely sad that Mrs Cullen was deprived of the chance of surviving her cancer because of the mistakes made in our hospital,’ he said. ‘The UMC Utrecht works every day on improvements to achieve an open, safe culture where every employee in the hospital can report an emergency… [to investigate and] learn how to prevent the same incident from occurring again.